Should You Toss, Sell, or Donate? 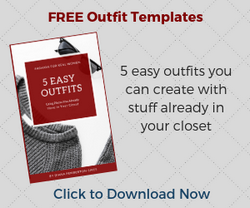 For most people, cleaning out their closets ranks right up there with cleaning out the attic, basement, or garage.Â They know it’s going to take some time, so they keep putting it off until something major stirs them to action, like a move, death, divorce, or other life-changing event.Â They equate the task with drudgery, and simply assume that because THEY no longer use the items, that the objects must be of little worth. But what if I told you that you could be sitting on assets of which you’re unaware?Â That you could, in fact, have sequestered in your closet right now a way to pay off some debts, buy some new season clothes, or even send your kid to summer camp?Â Or at the very least, that you have a way to reduce your 2007 tax bill?Â What would you think of the task now? Yes, you should keep a few ratty-tatty things around for those household grunge jobs, but unless you do that type of work all the time, you don’t need an endless supply.Â Two pairs of shorts and two t-shirts for warm weather, two sweatshirts and two pairs of long pants for cold weather should see you through. Clothing and accessories that are in good condition and that are either less than three years old or more than twenty-five years old are the most sought-after items.Â Jewelry and furs from all periods tend to sell quickly as well.Â All prices ranges except discount tend to fare nicely on the resale market, with designer brands the most desirable.Â Vintage designer apparel is also particularly popular. Consignment is where a retailer offers your items for sale in their establishment for a percentage of the sale price, typically starting around 50%. Since their goal is to turn over merchandise quickly, they’ll only accept items that they know their clientele is likely to want, so don’t expect them to take everything you offer (although they might, depending on what you bring in).Â The longer it takes to sell, the higher their commission goes.Â If an item doesn’t sell in a specific time frame, typically eight weeks, you can either take back the item or direct the store to donate it. Some consignment shops pay out all commissions at a specific time each month; others hang on to them until you come to claim them.Â If they’re unclaimed for a long period, like six months, you forfeit your money.Â Check out several stores to see what kind of merchandise they have and whether your stuff would be a good fit.Â If you find one you like, ask the necessary details, like the commission split, what days and times they accept new consignments, and how they pay out.Â Allow roughly 30 minutes when you go in for them to look over your stuff. Some stores – though not many – will pay you cash on the barrelhead for your stuff.Â They then turn around and resell it and keep all the profits for themselves.Â You can expect to make approximately the same amount you would by consigning, but without having to wait for a commission or lose money if it takes time to sell.Â The buyer assumes all responsibility. What’s the #1 site for clothing on the web?Â Ebay!Â Millions have discovered the fun and ease of disposing of their unwanted items through eBay (and similar sites), and if you have any inclination to learn the auction system, you could as well.Â High-end brand name designer apparel and accessories fetch the best price here, as elsewhere, but you’ll find plenty of other quality goods as well. Once you’ve tossed your old, unwearable clothes and have set aside the best pieces to sell, you’re probably left with a lot of items that aren’t current or pristine enough to sell, but that are still in good shape.Â These are the items you want to donate. Now before you stuff everything in a plastic bag and drop it off at a donation center, take a few minutes to inventory what you’re giving away. So who should get your stuff?Â Goodwill, Catholic Charities, and The Salvation Army rank among the most popular recipients.Â Depending on where you live, they may even offer pick up service. You can also check other viable charities in your community by doing a Google search on â€œCharities + (your town)â€ to see who’s in need where you live. Going through your closet DOES take time, particularly if you haven’t done it in a while.Â But once you get a system down, you can whip through your closets during the season change twice a year to rid yourself of unwanted items AND make money or secure a tax deduction at the same time.Â All it takes is a little action to get the ball rolling. So why wait?Â Get cleaning! Diana Pemberton-Sikes is a wardrobe and image consultant and author of â€œWardrobe Magic,â€ an ebook that shows women how to transform their unruly closets into workable, wearable wardrobes. Visit her online at www.fashionforrealwomen.com .